Make an important impact with your donation! What do an artist, a teacher, and a local elected official have in common? We believe in art. We believe in people. We believe in change. 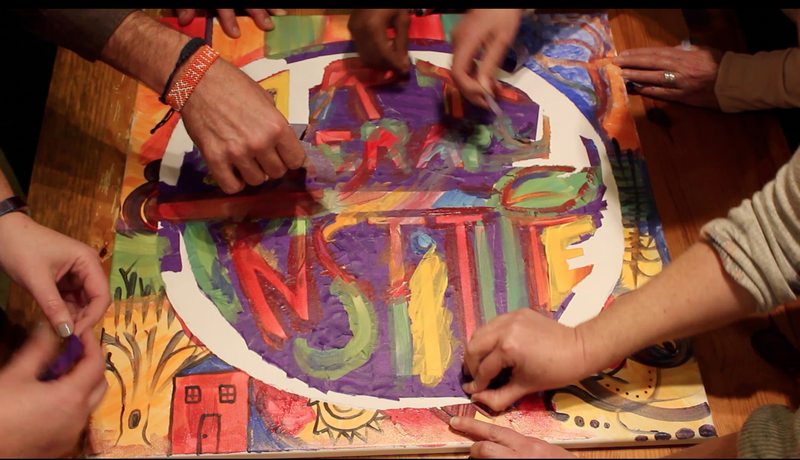 Hello Art Therapy Institute Community! Question: What do an artist, a teacher, and a local elected official have in common? Beyond our ongoing clinical services, we continue to train and supervise new therapists; host monthly community-based art shows and professional workshops; conduct ethical and culturally-congruent research; give presentations and workshops locally and internationally; and advocate for mental health reform alongside our clients. 2018 also saw the beginning of the Ilene Sperling Memorial Scholarship, where ATI will give funding to artists implementing projects based around personal and/or social healing. In the accompanying video, you will hear the voices of various community members impacted by our agency. From clients to artists, from school teachers to social workers, from interpreters to local elected officials, these supporters have witnessed the powerful work of ATI and want to share what they've seen with all of you. We hope you take a few moments today to watch our short video and consider a year-end, tax-deductible donation. Your financial contribution--at any amount--makes an important impact on our agency's ability to keep bringing art therapy services to all. We honestly couldn't do this without you. Thank you for everything you do to support ATI! Thank you for all of your spectacular, spirit-lifting work, and thanks to Hillary Rubesin, for being ever-inspiring. Keep up the great work, Hillary! Merry Christmas Ag and Jack!